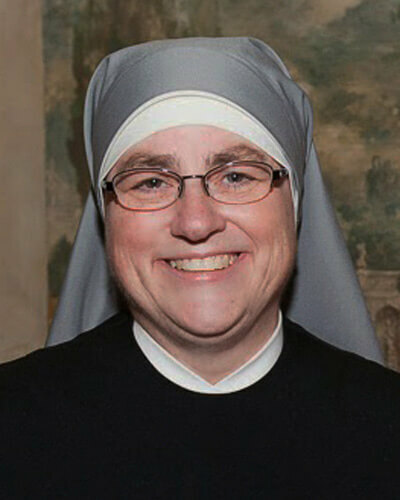 Little Sisters of the Poor Guest Commentary: Dare to be of Good Cheer! In May I was asked to offer a spiritual reflection at the National Catholic Prayer Breakfast. I used my moment in the spotlight to share three pieces of advice that helped carry me through the weeks surrounding our appearance at the U.S. Supreme Court: Dare to be of good cheer … See Christ in each person, whether friend or foe … Believe that nothing is impossible with God. This simple advice seemed to strike a chord with my audience, especially the admonition to be joyful. The crowd actually laughed when I suggested that evangelizers must not be “sourpusses.” Afterward a gentleman who is highly esteemed in Catholic circles told me that it was the first time he’d ever heard the word “sourpuss” used in a speech! It might be the first time it ever made it into a papal document as well – I was quoting Pope Francis! None of us like long faces, but all of us encounter sad situations and bad news daily. We Little Sisters of the Poor face death all the time, and yet our lives are not depressing or morose. I experience indescribable joy in serving the sick and the elderly. This joy comes, in great part, through the gift of self, for as human persons we are made to become a gift to God and to others. It is in transcending ourselves and laying down our lives for the sake of others that we most resemble God who is Love. The joy I experience has another source as well. It springs from the elderly themselves, who have taught me so much about life. Although wisdom does not come automatically with age, those who have lived in the shadow of God’s love experience their final years as a time of thanksgiving for his faithfulness. It is a time when they look back and realize that their unrepeatable life story has been a matter of God’s love revealing itself in successive chapters. Like fine wine, what results is a deep, abiding, contagious joy. In Evangelii Gaudium Pope Francis wrote, “Joy is not expressed the same way at all times in life, especially at moments of great difficulty. Joy adapts and changes, but it always endures, even as a flicker of light born of our personal certainty that, when everything is said and done, we are infinitely loved.” This is what the elderly have taught me – they have shown me how to be of good cheer, no matter what, because love always has the last word! Each month Our Holy Father gives the Church a special focus through his worldwide prayer network, the Apostleship of Prayer. June’s intention is “that the aged, marginalized, and those who have no one may find – even within the huge cities of the world – opportunities for encounter and solidarity.” Then during the month of July we will celebrate the feast of Sts. Joachim and Anne, the grandparents of Jesus. How wonderful it would be if we all made it a priority to spend time with our grandparents or older friends this summer, that we might learn from them the secret of lasting joy!